Preparing your small business for the holiday shopping rush can be overwhelming. By starting now, you can focus your efforts to make a major, lasting impact this holiday season. Small Business Saturday officially kicks off the holiday rush, and it has become one of the most important sales days of the year for small business owners. As a responsible small business owner, you’re always considering the risks. If you have a big spike in holiday demand, will your technology be able to handle it without lag? If you offer online sales, will your customers’ data be secure? When you plan a big sales push, the risk of big mistakes increases as well. Now is a great time to assess your current technology infrastructure. Are there gaps in security or old PCs that could cause problems on a busy shopping day? If so, it’s time to consider an upgrade. By using a modern setup, you can focus on what’s important: providing the best possible service for your customers. Small Business Saturday is a great opportunity to debut a new product, offer amazing deals, or host a special event at your business. What can you do to build brand loyalty and help your customers connect with you and your business? Offering a gift with purchase, free gift wrapping, or another personalized service goes a long way. This blog from the Small Business Administration offers more simple marketing ideas to ensure a successful Small Business Saturday. Most small businesses don’t have huge marketing budgets, but you can’t ignore the need to promote your business and products. Luckily, there are more ways than ever before to reach your customers where they spend time, whether it’s online or out in your community. Choose the best media to invest your marketing and advertising dollars in, and craft a message that’s warm, engaging, and offers solutions to your customers. Get your message out now, and your customers will be primed to shop come November 28. 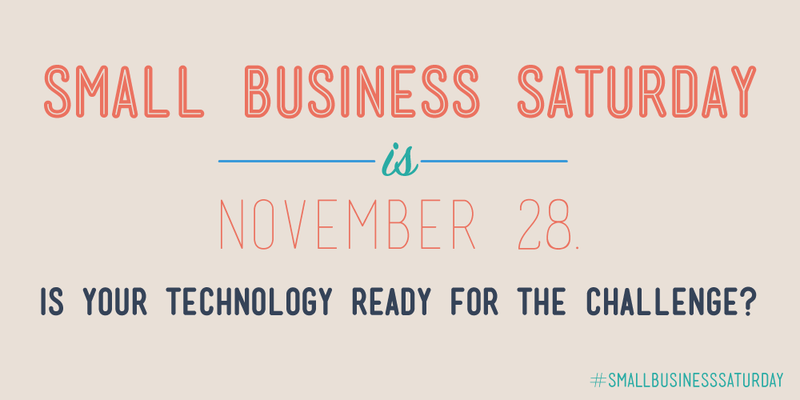 Stay tuned to this channel for more ways to prepare for Small Business Saturday, and visit our page for small business resources from Intel. For more, follow us on Twitter at @IntelSmallBiz.